The model T53.10 fieldbus temperature transmitter with FOUNDATION™ and PROFIBUS® PA fieldbus communication is suitable for temperature measurement with resistance thermometers and thermocouples. Furthermore resistance and mV measurements with or without customerspecific linearisation are possible. Differential, average or redundancy temperature measurements can be realised. The T53 is available at FOUNDATION™ Fieldbus with LAS functionality (Link Active Scheduler) and PID regulation. These functionalities allow for master-independent regulations in the field instrument. 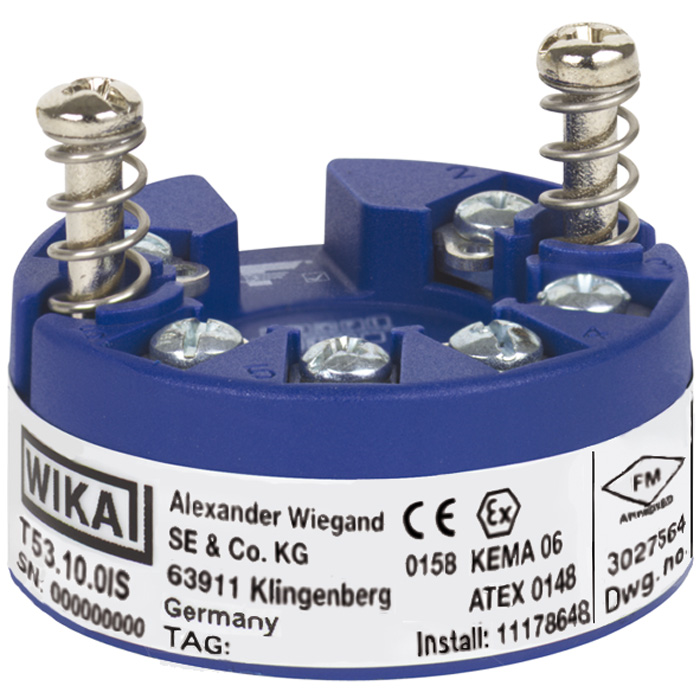 The model T53.10 fieldbus temperature transmitter has a polarity-independent bus connection. 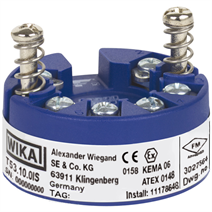 Due to its small dimensions, the model T53 temperature transmitter is suitable for all DIN form B connection heads. The model T53 temperature transmitter is delivered with a factory configuration or customerspecific configuration in line with the configuration options.